And it is this that allowed him to establish himself as one of the core residents for London and Ibiza’s successful FUSE event series. His place as one of the key proponents of FUSE’s distinctive warm dubby sound is also reflected in his productions. 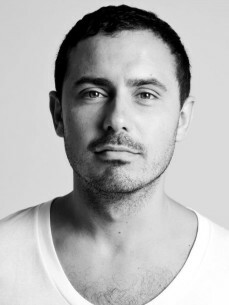 Regularly featuring on VA EPs for both FUSE and inFUSE, the past 12 months have seen a string of releases and remixes that built on a solid foundation of previous output on labels such as OFF and Monique. His ‘Never’ EP on FUSE showed his ability to translate his DJ style into solidly crafted cut, whilst remixes for Whim-ee on Nite Grooves and Claudia Amprino on Tzinah showed his dexterity in reinterpreting other artists creative endeavors. In addition to his skills behind the wheels of steel, Seb’s involvement with the brand extends to A&R duties for the two labels. The ear for music that makes a dance floor hum proving to be a valuable asset in signing those future bombs to FUSE and inFUSE.